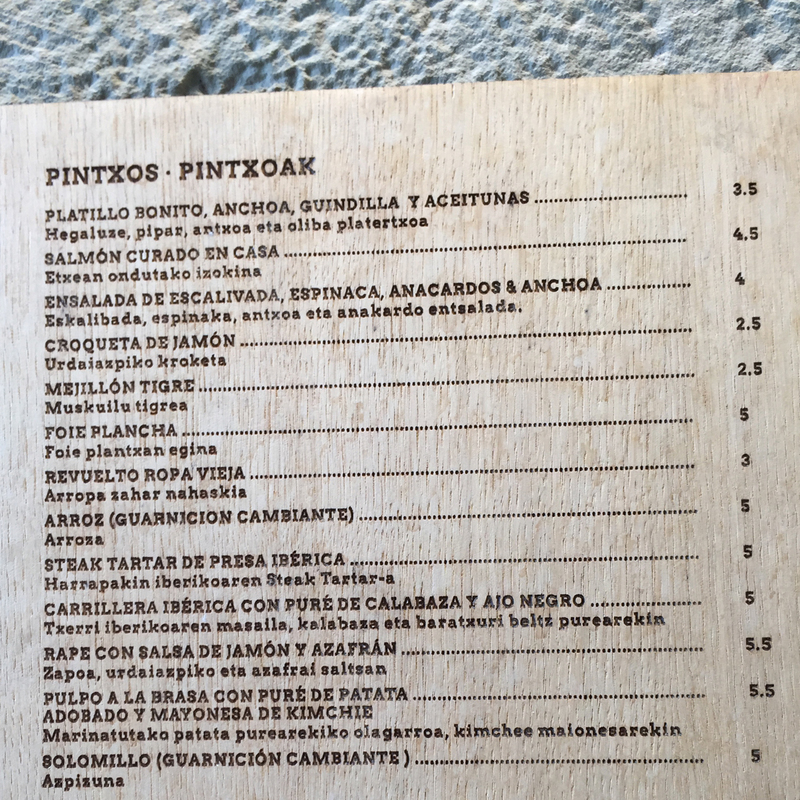 Any trip to San Sebastián should include a visit to the Plaza de la Constitución. 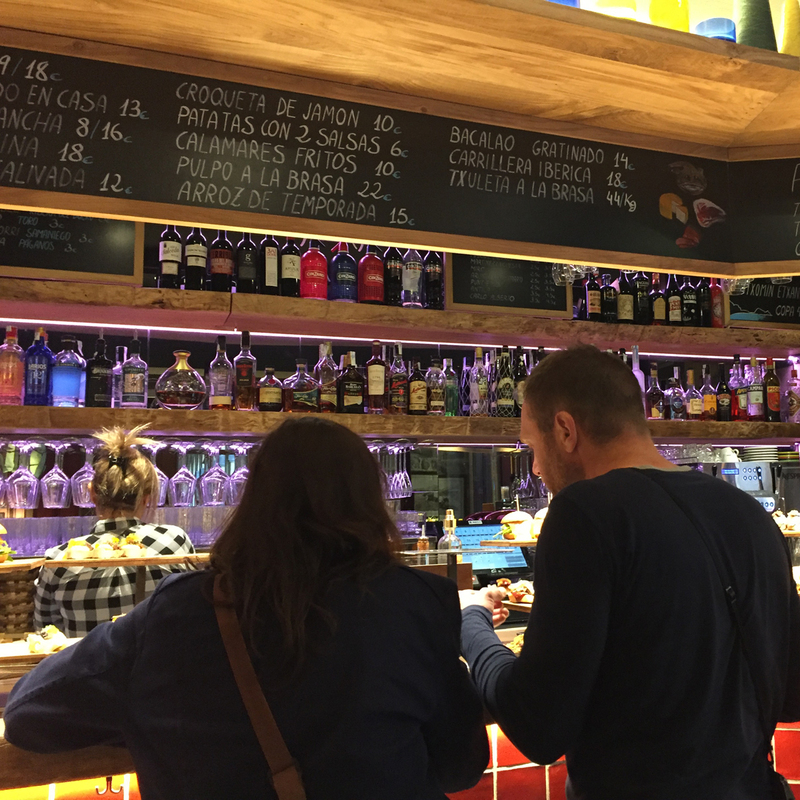 Early in the day the square is used as a hectic delivery hub, filled with large trucks bringing a fresh supply of ingredients and drinks to the heart of the Old Town. 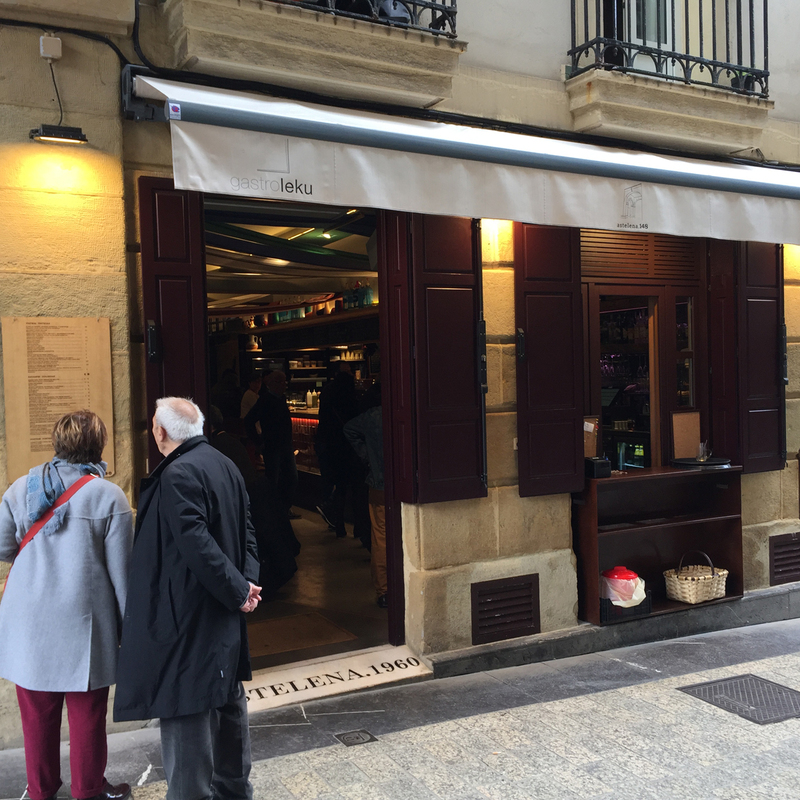 An army of people then deliver this essential lifeblood by hand down the veins of the Old Town’s pedestrian streets to awaiting pintxo bars. 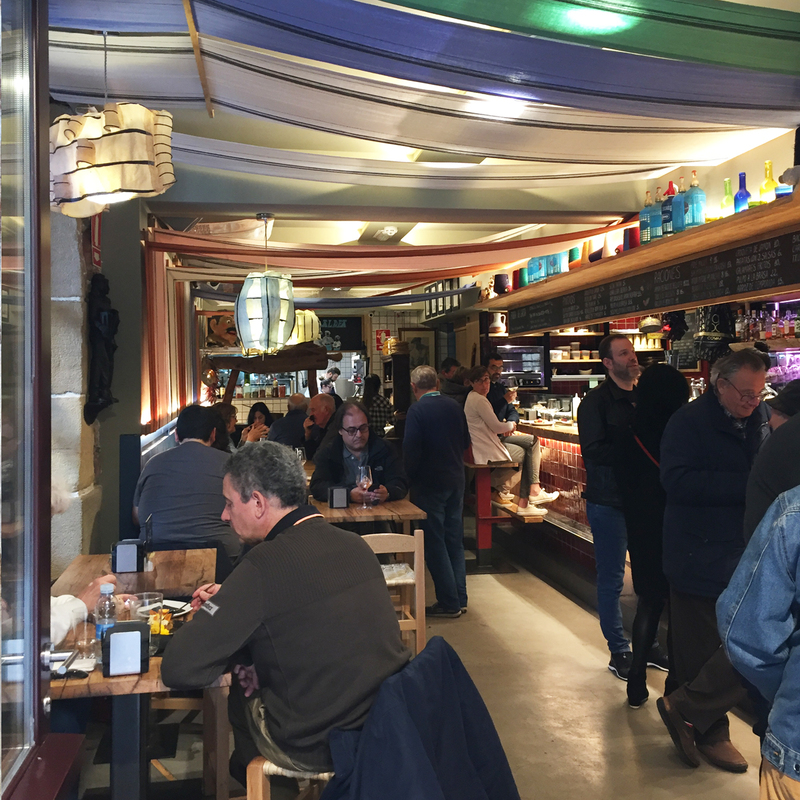 By lunchtime the Consti is transformed into an elegant and busy arena, encircled with bistro tables for the bars that line the perimeter. 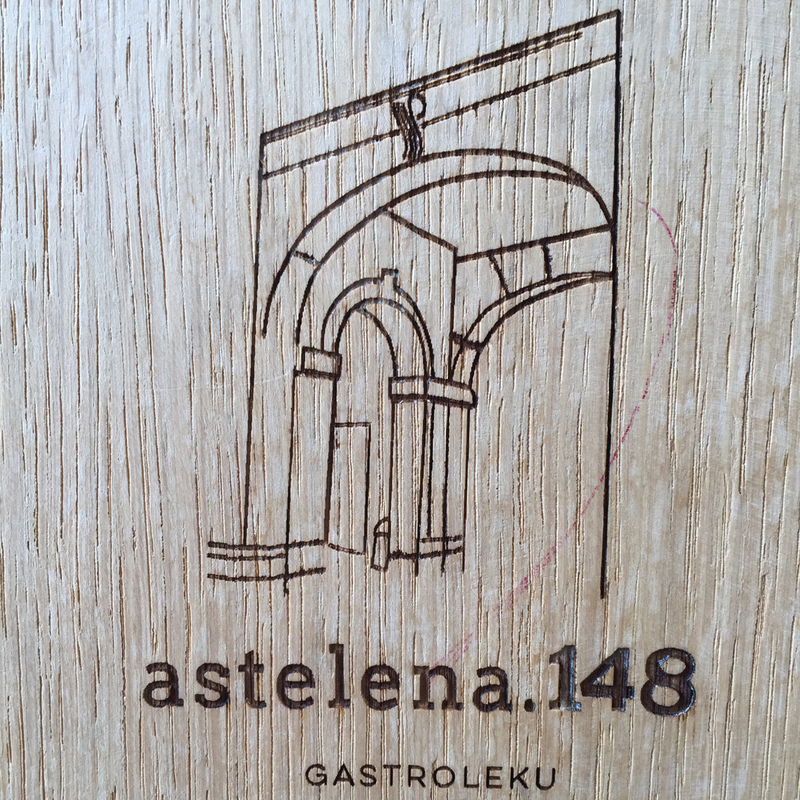 And in one corner you will find Astelena148. 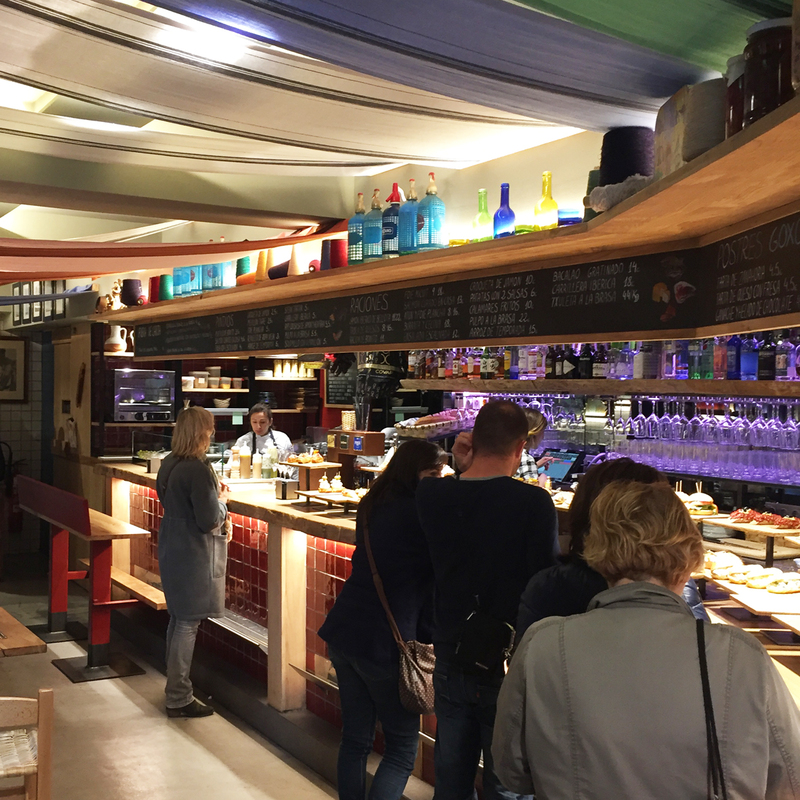 The newly-refurbished interior is modern with coloured drapes across the ceiling and walls. 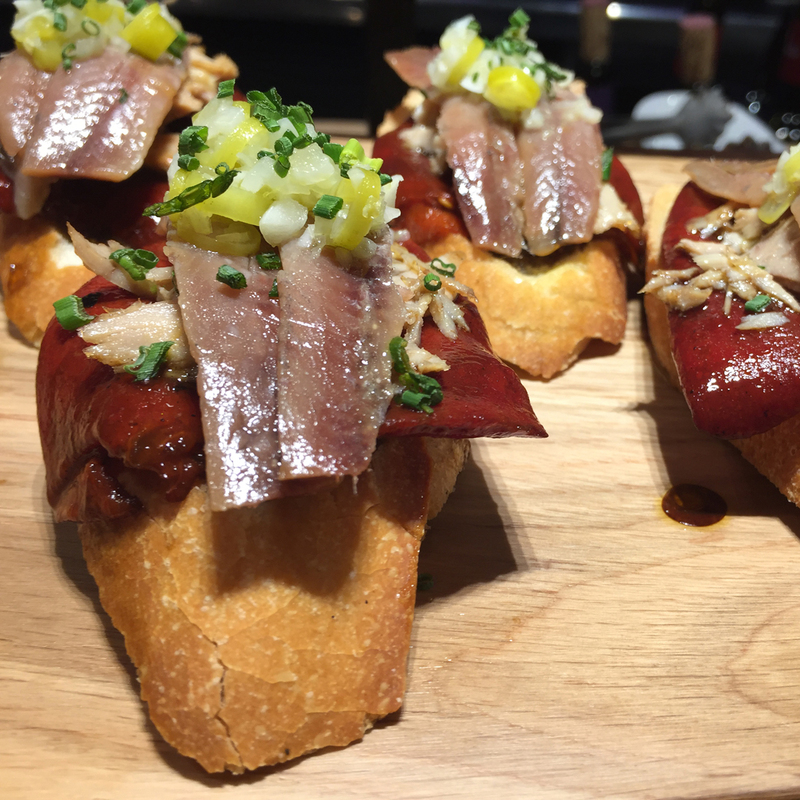 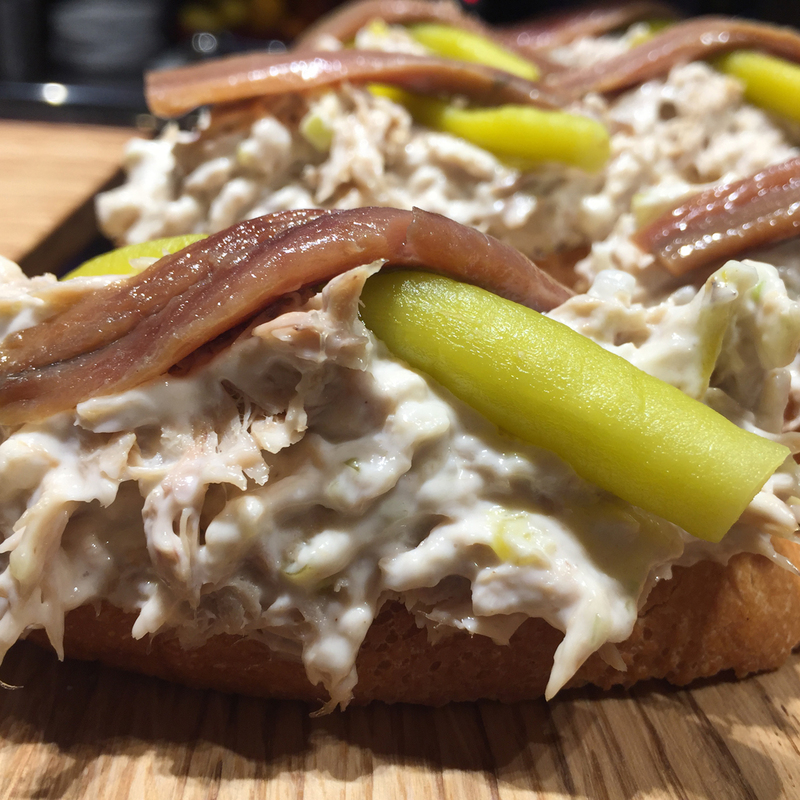 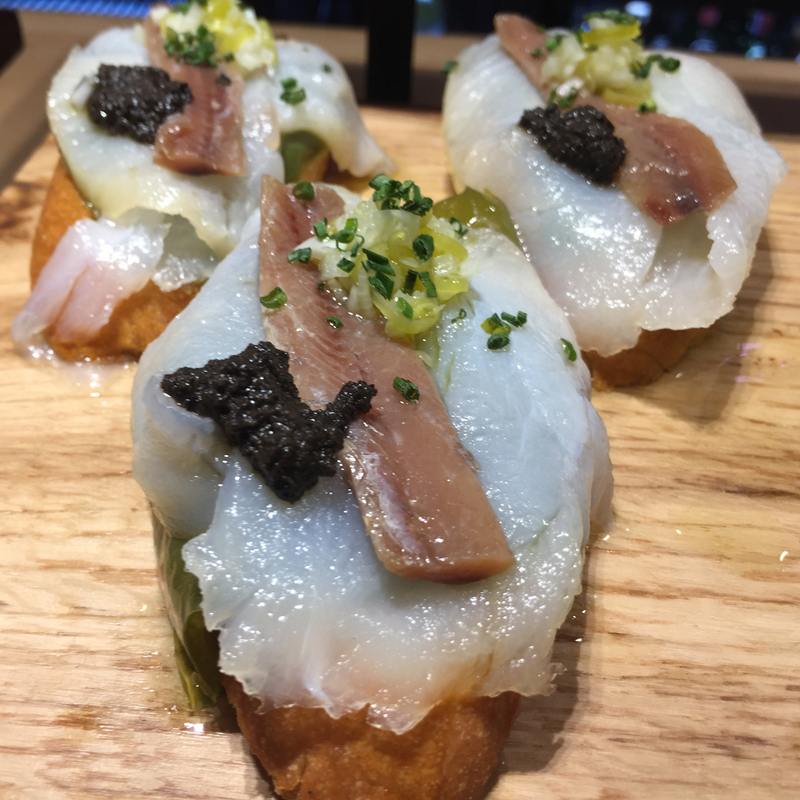 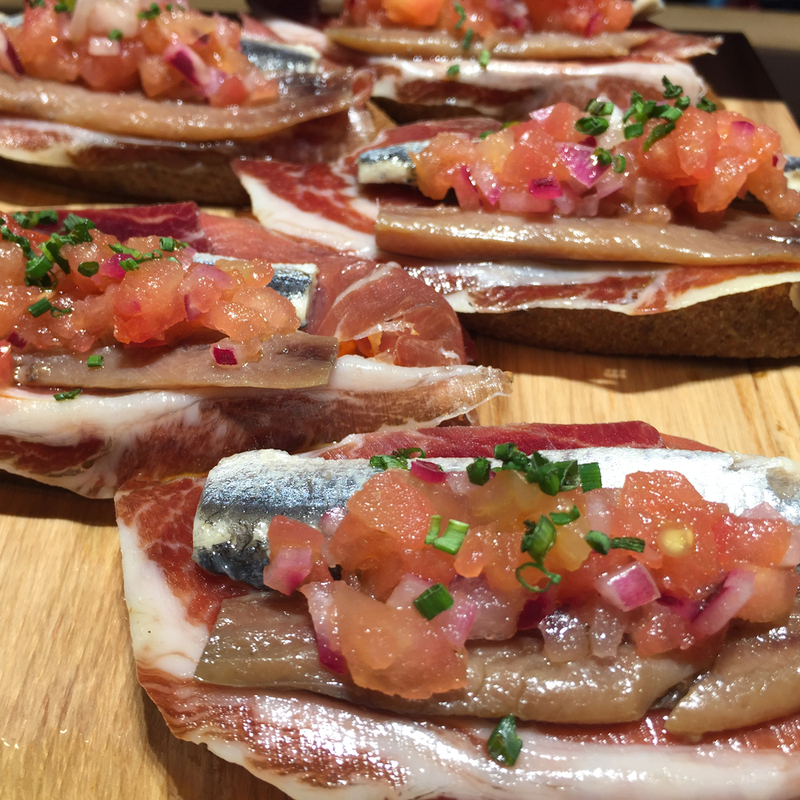 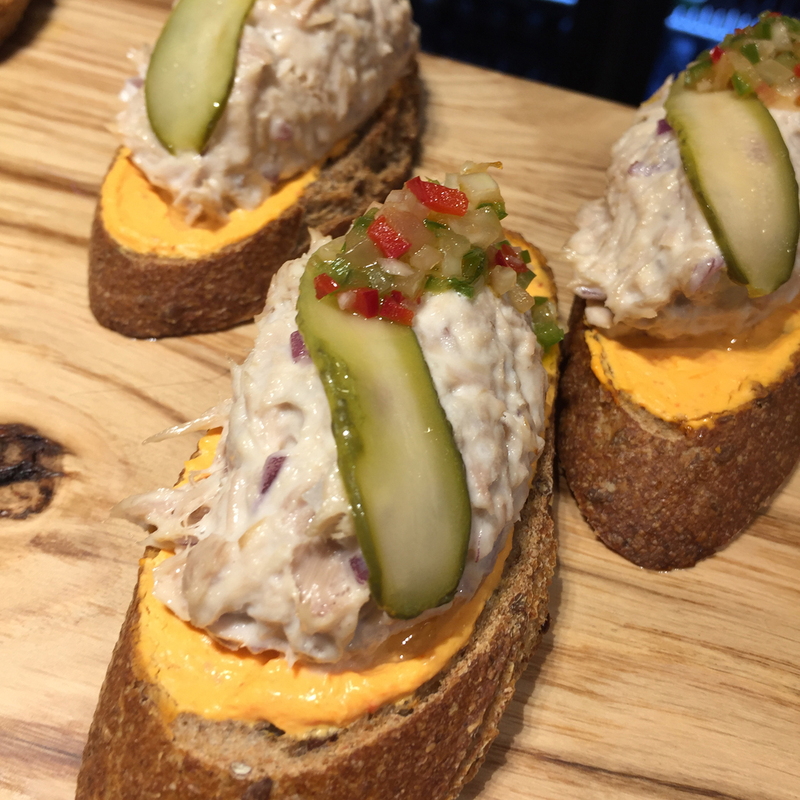 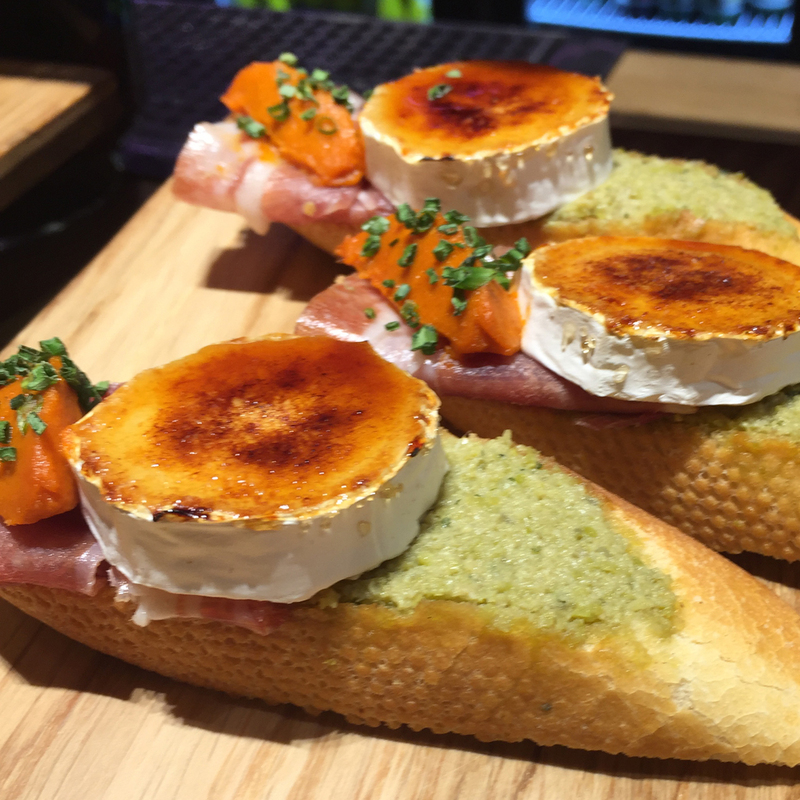 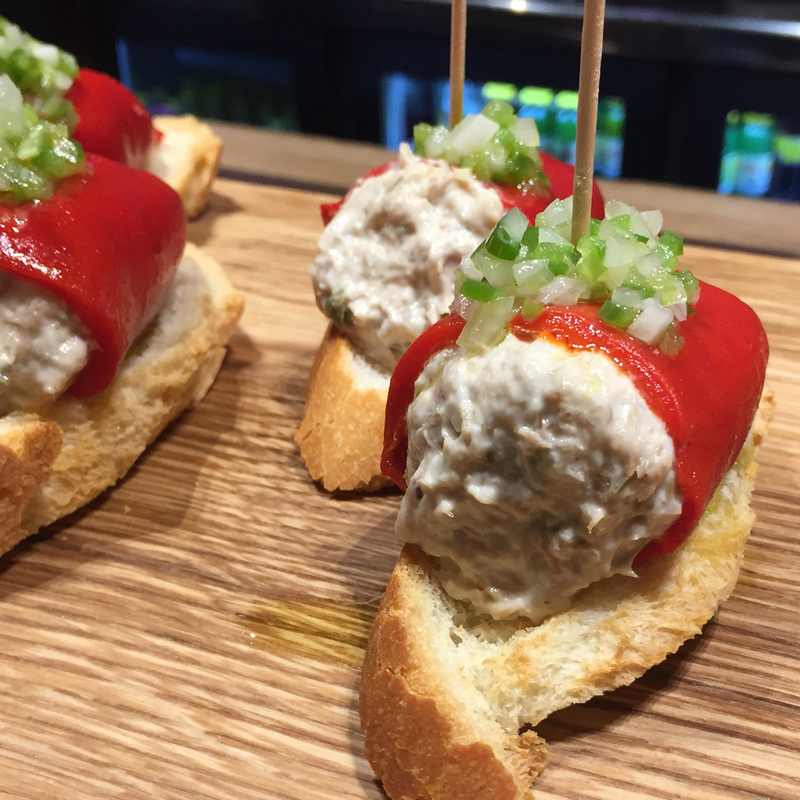 The bar pintxos are picture-perfect, but as usual there are some winning hot dishes to be had. 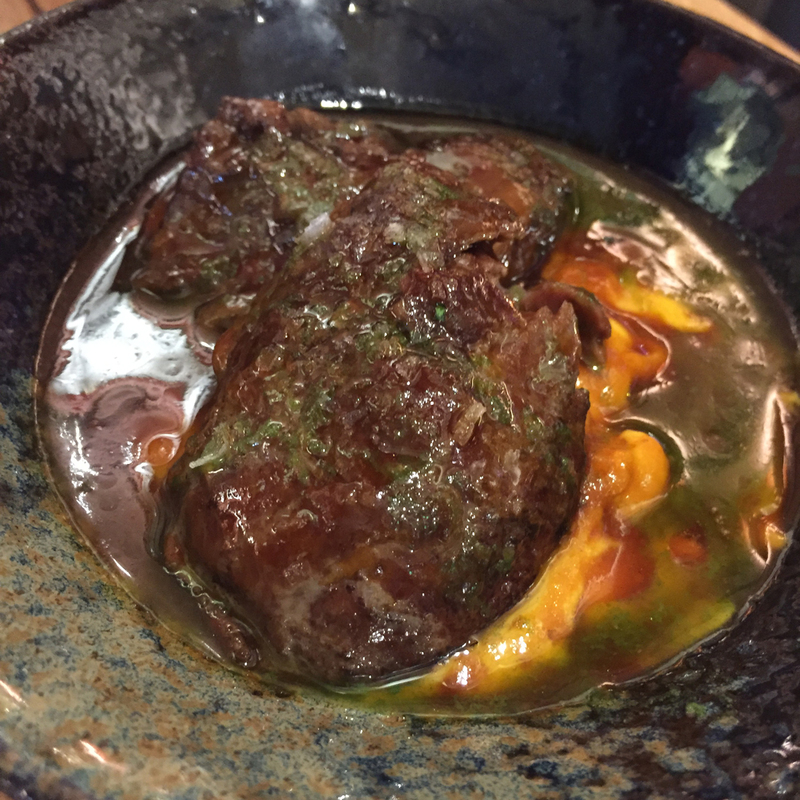 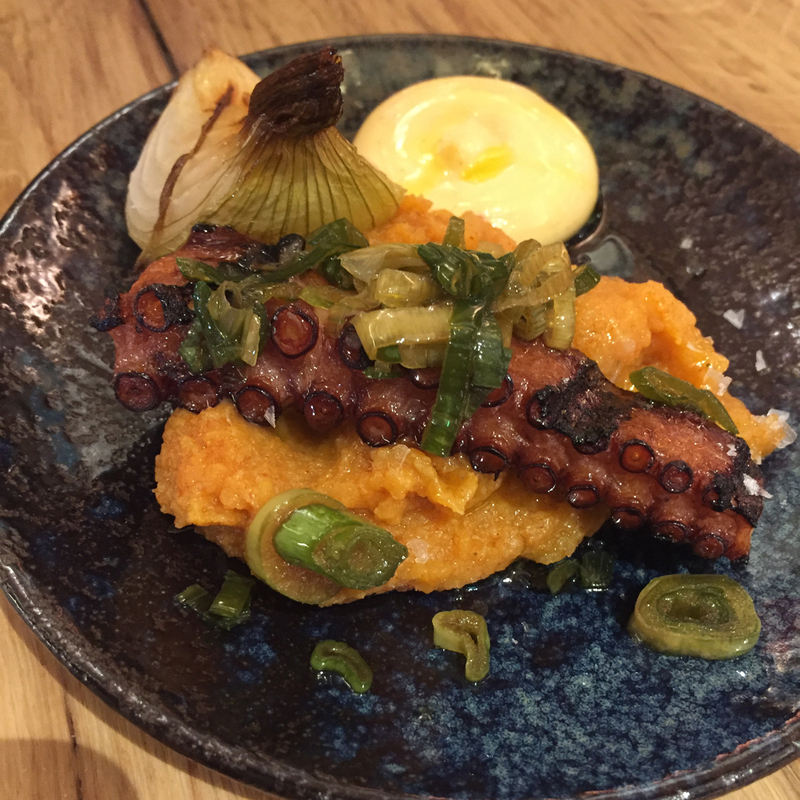 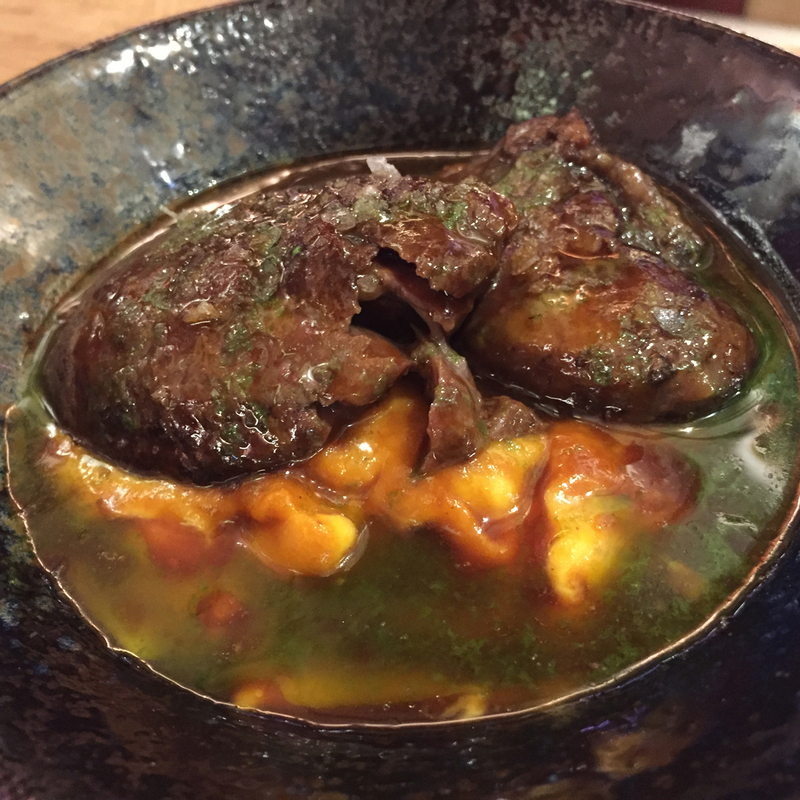 Don’t miss the gorgeous Iberico pork cheeks with pumpkin and black garlic puree, and the octopus with sweet potato and roast onion.